This enchanting two-story home design features a unique first floor layout with dramatic spaces and intimate areas that give the home a feeling of grandeur and warmth. 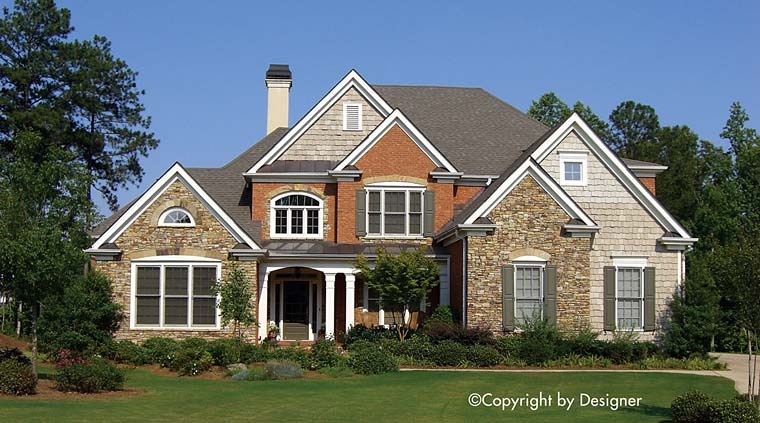 Designed for the growing family, this Traditional house plan incorporates features that are typically seen in much larger homes with its large master suite on the main level, angled vaulted keeping room, and secondary bedrooms upstairs. We offer floor plan modifications on all of our Traditional house plan designs. Click Here to download a free PDF Brouchure of Plan Number 97625.